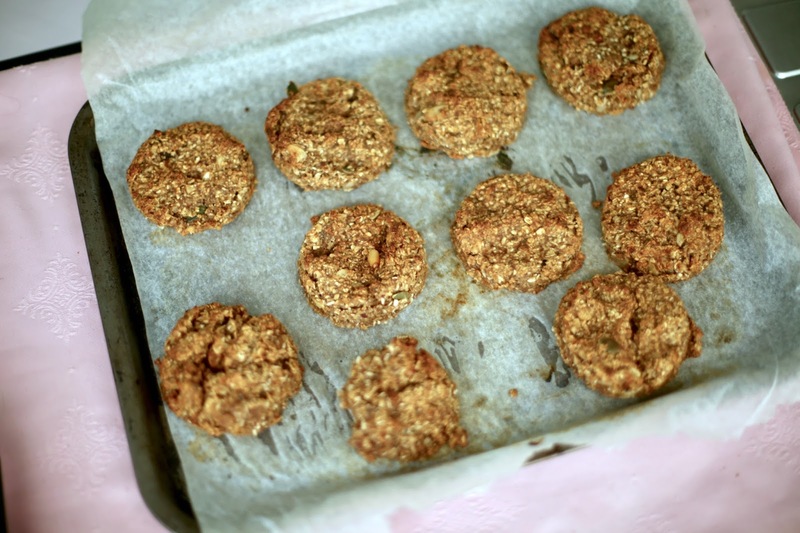 Hey guys, so after so many of you read my easy, healthy banana bread recipe I thought it was about time I wrote down my healthy biscuits/cookie recipe. You can watch us making the banana bread recipe at 15 mins on my recent vlog here too if you missed it. I have lots more of these healthy recipes coming so just tweet me or drop me a comment/message on Instagram me @emshelx if you want more recipes and definitely tag me in your photos too when you bake them. I've always loved cake and cookies, basically, give me all the sugar but I'm the kinda girl who will sit and eat a multipack of biscuits followed by a full pack of Oreos after spoon feeding myself Nutella. I have no cut-off point so that's why I try to ensure I always have healthy snacks in the house. If you've read any of my fitness posts you'll know I'm all about balance, so yeah, cookies are okay but everything in moderation. I strongly believe in having healthy stuff ready to grab in my house. I crave sugar more than a normal person should but with these in the house, at least I'm grabbing goodness. 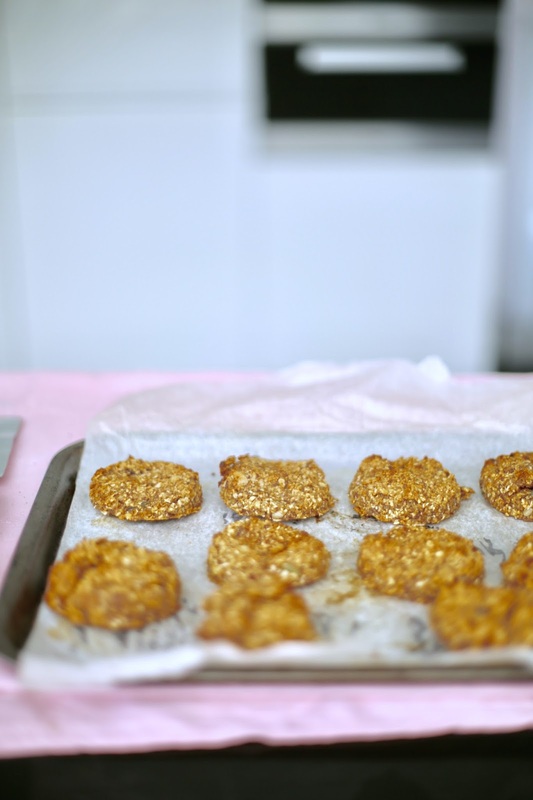 So, get ready, come bake some healthy, easy, dairy free (+ vegan-friendly if you leave the honey out) delicious cookies with me. These particular cookies were inspired by Rhiannon Lambert and her Renourish book. I often use my favourite ladies recipes and then put my own twist on them. You can now either press this down in to a baking tray in one slab or make it in to several large biscuits. Either way, place the mixture on lightly oiled baking parchment and cook it in the oven on 160 degrees for around 40 mins. The mixture should be quite thick, like burger patties so it's stuck together. Make it thinner if you want crispier cookies but ensure it sticks together and isn't a liquid mixture, if it is, add more oats. When it feels a little firm to touch, take it out of the oven and enjoy hot or when cooled.